Win a ticket to the Future of Leadership Initiative Conference: "The Truth Behind Innovation"
FTL is going to the Future of Leadership Initiative Conference "The Truth Behind Innovation“ and three of you are coming with us! Oh happy day, it’s giveaway time! Female Tech Leaders could not be more excited to announce a special giveaway in collaboration with the Future of Leadership Initiative (FLI). Here's the deal: we are offering 3 free (2200€ value!!!) 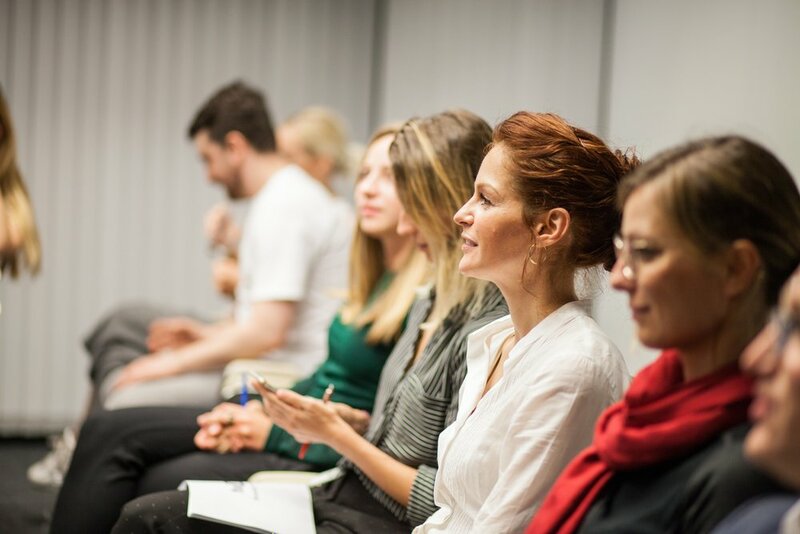 conference passes to participate - alongside industry and thought leaders - as delegates of the Female Tech Leaders community in an English-speaking, open think tank on leadership and innovation. How can I as a leader innovate myself to be a role-model for innovation? How to create an effective and sustainable innovation ecosystem? Amongst others you will hear keynotes and viewpoints of inspiring leaders like Jeff Burton (Co-Founder of Electronic Arts, and of course FTL Advisor), Dr. Hannes Ametsreiter (CEO Vodafone Germany), Harvard Professor Barbara Kellerman (Author of the Book 'The End of Leadership'), according to the magazine Spiegel “Germanys most known strategy consultant” Antonella Mei-Pochtler, Cyber Architect James Law from Hong Kong, Silicon Valley expert and start-up entrepreneur Catalin Voss, and Konstanze Frischen from the social business incubator Ashoka in Washington D.C.
Post a photo on your Instagram or Facebook account and in the caption answer the question "How can leaders encourage innovation?" (max. 25 words). Be creative – use photo, video, caption and don't forget to introduce yourself. This is an equal opportunity competition and is open to all genders. Travel costs to Tutzing (accessible with Munich S-Bahn) are not included. Authors of three most interesting (read: be original, tell a story) and creative posts will win the opportunity to participate in the the Future of Leadership Initiative Conference! All we ask in return is that you post live from the conference on the @femaletechleaders Instagram account and/or share your experience on the FTL blog (yep, this space right here!). Giveaway will end on Wednesday, February 7th at 23:59. Winners will be announced here on the morning of Friday, February 9th and contacted via DM on Instagram/Facebook. We are looking so forward to your posts and having your as representatives of the Female Tech Leaders community! Female Tech Leaders, an organization dedicated to empower its members by providing them with new skill-sets, organized its 4th workshop on October 17th 2017 under the theme “Women in Venture Capital”. 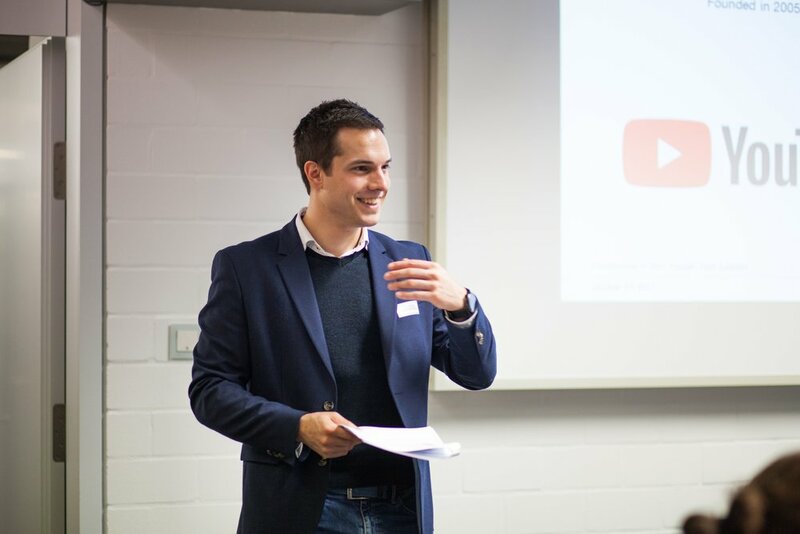 This workshop was lead by coaches from next47 and Unternehmertum Venture Capital Partners (UVC Partners) and hosted by Siemens next47. The workshop was designed for people in tech who are interested in connecting their technology background with their passion for start-ups. Moreover people who might have thought about founding a company or have had first experience working at a start-up or at a venture capital (VC) firm, were brought together. Analysts and principals from both next47 and UVC Partners shared their insights into this industry. Vanessa Schmidt, an associate at next47, started off the workshop with her keynote presentation. Her general introduction shed light on what is going on in the VC scene when it comes to women role models. According to Prequi Special Report on Women in alternative assets, 11.5% of all senior positions at venture capital fund managers are occupied by women. Vanessa also explained that from the Midas List of the 100 world‘s smartest tech investors, only 6 women are on the list; 5 based in the U.S., 1 based in China. What is also interesting from Vanessa’s research findings, is that women who made it to higher ranks leave established VC firms and often found one-women or women-only firms. We can cite as an example, the VC firm Defy or the female only partners Aspect Ventures. To close her presentation, Vanessa offered some advice on how to get into the world of VC either by founding, working at a start-up or by starting a career in VC as an analyst or associate. Nevertheless the ways into a VC career are infinite. A second presentation was given by Alexander Kiltz an Investment Analyst at UVC Partners, which is an early-stage venture capital firm investing in B2B technology startups in the fields of Industrial IoT, Manufacturing Technologies, Mobility and Smart City. Alexander focused on what UVC Partners achieved and are achieving by investing in upscaling companies of the aforementioned branches, like Konux or FlixBus, and undertook a closer examination of the daily challenges of VCs. Participants were then able to participate in a hands-on practice session that included conducting a case study on what an actual VC review of a start-up idea should look like. With the guidance from Vanessa and Alexander, participants put themselves into the shoes of venture capital analysts. First, they came up with their own list of VC criteria for evaluating startup ideas - such as the team, the technology, and KPIs - to evaluate afterwards in teams the first pitch decks of companies now known as YouTube and Airbnb. Subsequently, an open discussion took place where participants shared their findings with the trainers and received feedback regarding their evaluations. The workshop was closed by insights from two women venture capitalists reflecting on their individual paths into the VC industry. 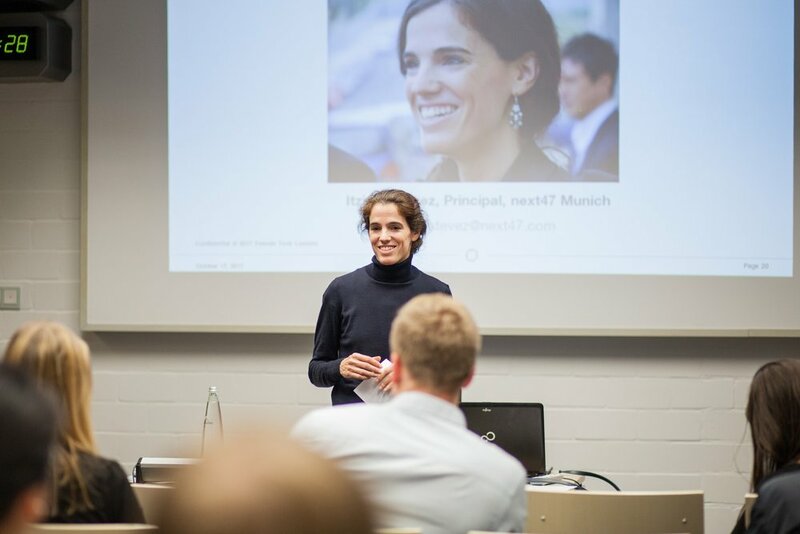 Itziar Estevez Latasa from next47 who joined Siemens VC in 2010, focuses on investments in advanced manufacturing and industrial technologies. Itziar shared with the audience her career path and personal experience as a women in VC. Our second guest speaker, Dr. Anne Kreile from UVC Partners shared her story on how she landed from a PhD in Neurosciences to an Investment Associate, by simply seeking new challenges. To come to a conclusion, the great success of our workshop wouldn’t have been possible without our amazing and diverse participants! So we would really like to thank all the participants for their engaging conversations and discussion. Many thanks also go to next47 and UVC Partners for supporting Female Tech Leaders with their time and effort to organize and lead the workshop and to give a glimpse into the world of VC. Full of new impressions, motivated by interested participants and empowered by our volunteer coaches, photographers and team members, we are already looking forward to our next event! See you there! Female Tech Leaders (FTL) is a Munich-based organization dedicated to empowering women in STEM and leadership roles and mentoring girls who are passionate about technology.